While many individual faculty have adopted new approaches to teaching, change has not been deep or PATHS-UP Overall Mission - To engineer transformative, robust, and affordable, technologies and systems to improve healthcare access, enhance the quality of service and life, and reduce the cost of healthcare in underserved populations. Culture of Inclusion and Diversity, EWD, and K-12 Mission- To influence, recruit, and educate the next generation of diverse innovation leaders who are ready to impact the future in developing transformative technologies to significantly improve health in underserved communities. Learn more about the PATHS-UP project. 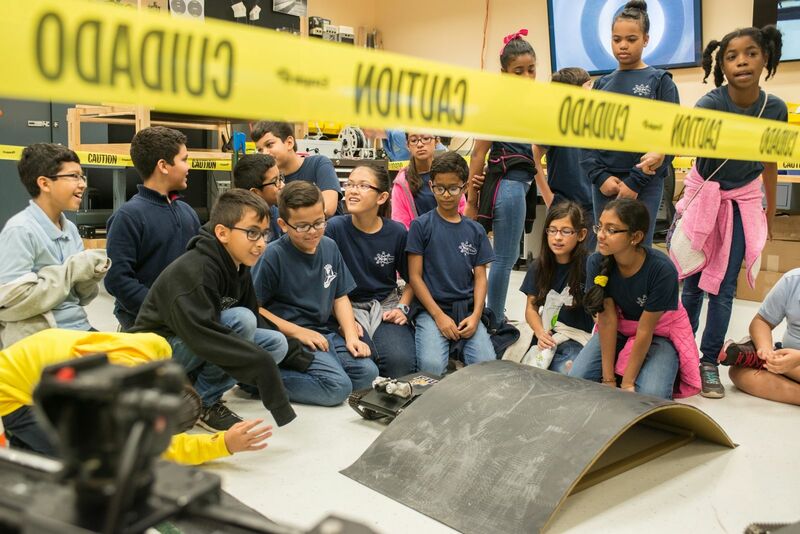 The FIU Engineers on Wheels program is an initiative which brings FIU engineering students to South Florida K-12 schools. 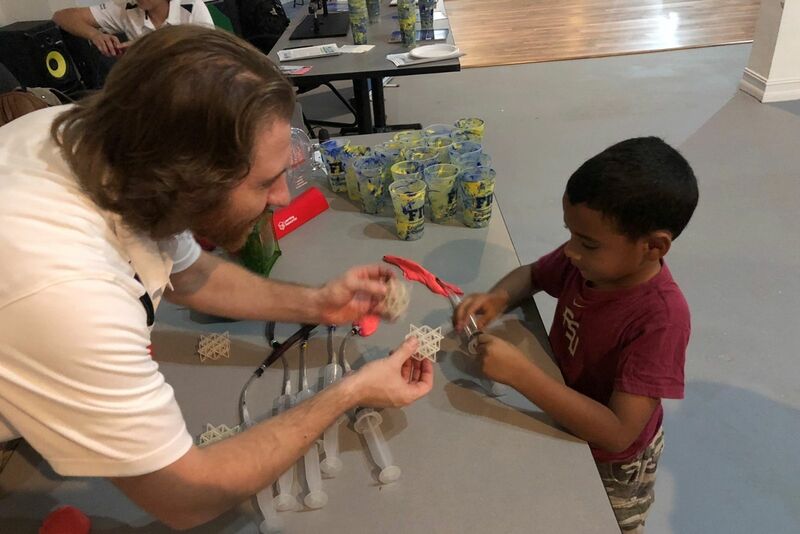 EOW provides students with hands-on activities and engineering experiments while exposing them to career opportunities in STEM (science, technology, engineering and math). The program features grade-appropriate, interactive lessons and presentations led by FIU students and overseen by FIU faculty. Subjects include mechanical and materials engineering, computer science and information technology, biomedical engineering, civil and environmental engineering, construction and engineering management, and electrical and computer engineering. Learn more about Engineers on wheels (EOW). 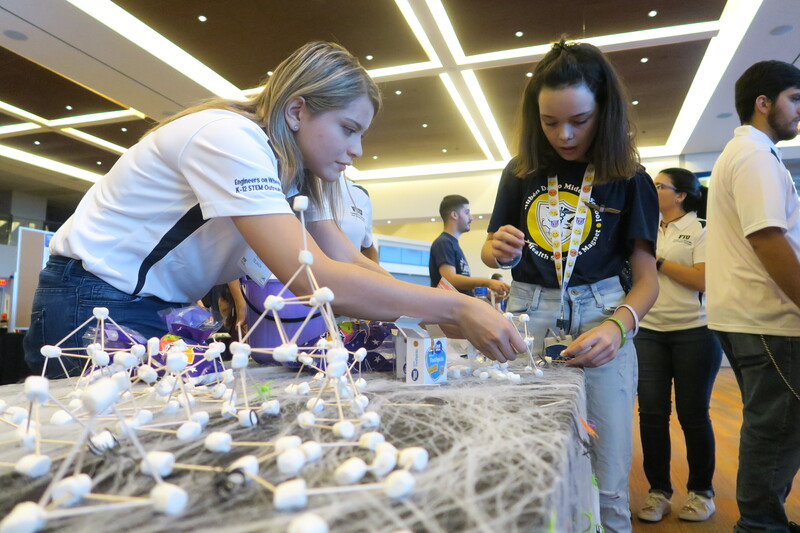 The FIU Engineering Expo is the college’s premier community outreach event and welcomes more than 1,400 K-12 students from Miami Dade and Broward County Schools (elementary, middle and high schools) to the FIU Engineering Center. The event brings these students together with FIU students, researchers, and staff to discover the endless possibilities of STEM. On expo day, all of the college’s research and learning labs are opened for tours. The students participate in contests, presentations, and hands-on projects. The Expo is a truly unforgettable experience for everyone involved. Learn more about the Engineering Expo. Working with the CELL-MET Diversity and Inclusion and Workforce Development teams, the Center for Diversity and Student Success in Engineering and Computing ensure successful execution of the strategic plans, develop international internships and relationships with Argentina and at EPFL, oversee the undergraduate and teacher researchers, ensure engagement in outreach from CELL-MET research labs to local area schools, and help generate data required for evaluation. Learn more about the Nanosystems Engineering Research Center.